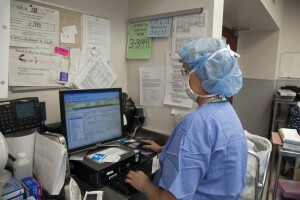 The digital revolution in healthcare has transformed most hospitals into EMR-dependent worksites, dotted with computer terminals that receive more attention than the patients themselves. I admit that my own yearning for the “good old days” was beginning to wane, as my memory of paper charting and a patient-focused culture was becoming a distant memory. 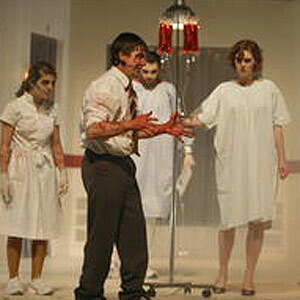 That is, until I filled in for a physician at a rural hospital where digital mandates, like a bad zombie movie, had bitten their victim but his full conversion to undead status had not been completed. At this hospital in its “incubation period,” electronic records consisted of collated scans of hand-written notes, rather than auto-populated templates. I’m not necessarily recommending the return of the microfiche, but what I experienced in this environment surprised me. 1. Everyone read my notes. Because everything I wrote was relevant (not just a re-hash of data from another part of the medical record), reading became high-yield. Just as people have adapted to ignoring internet advertising (Does anyone even look at the right hand rails of web pages anymore? ), EMR-users have become accustomed to skimming and ignoring notes because the “nuggets” of useful input are so sparse and difficult to find that no has time to do so. The entire team was more informed and up to date with my treatment plan because they could easily read what I was thinking. 2. I was able to draw diagrams again. Sometimes a picture is worth 1000 words – and when given a pen and paper, it is great to have the chance to quickly draw a wound site, or visually capture the anatomical concerns a patient may have, or even add an arrow, underline, or circle for emphasis. Thorough neuro exams are so much easier to document with stick figures and motor scores/reflexes added. 3. I could see at a glance if a consultant had stopped by to see a patient. It used to be customary for specialists to leave a note in the paper record immediately after examining a patient. If they didn’t have time to jot down a full consult, they would at least leave me their summary statement – with critical conclusions and next steps. It was a real time-saver to know when a consulting physician had evaluated a patient and get their key feedback if you missed them in person. Nowadays consultants often see patients and order tests and medications in the EMR without speaking to the requesting attending physician. It may take days for their notes or dictation to show up in the electronic medical record, and depending on the complexity of the system, they may be nearly impossible to find. The result is redundant phone calling (asking the consultant’s admin, NP, PA etc. if they know if he’s seen the patient and what the plan is), and sometimes missed steps in the timely ordering of tests and procedures. At times I simply resort to asking the patient if Dr. So-And-So has stopped by, and if they know what he was planning to do. This doesn’t inspire confidence on the patient’s part, I can tell you. 4. I could order anything I wanted. EMR order entry systems force you to select from drop down menus that may not reflect your intentions. When you have a pen and paper – imagine this – you can very clearly and accurately capture what you’d like to order for the patient! There is no confusion about drug taper schedules, wound care instructions, weight bearing status, exercise precautions. It’s all as clear as free text. You can even explain why substitutes are not acceptable, thus heading off a follow up pharmacist call. 5. The patient became the focus. Since I didn’t need to spend all my time entering data into a computer system in real time, I was able to focus more carefully and clearly on the patients. My attention was not constantly being distracted by EMR alerts, unimportant drug interaction warnings, or forced entry of irrelevant information in order to complete a task. I felt more relaxed, I had more time to think, and I got more important work done. 1. We need better ways to separate the signal from the noise. Even something as simple as a different font color for the new information that we doctors enter (in a given progress note) would help the eye latch on to what’s important. There should be a simple, visual way to distinguish between template and free text. 2. We need a pen feature that allows authors to signify emphasis. Wouldn’t it be nice if there could be an overlay that allowed us to circle words or add arrows or underlines? If the TV weather man can do this on his digital map, why can’t EMRs allow this layer? For example, physicians would like to circle lab values that are changing, and indicate the direction of change. 3. We need boxes where we can draw diagrams. A simple tablet function would be easy enough to enable. Sure it would be nice to have a stylus, but I’d settle for mouse or track pad entry. This is not a feature of most EMRs I’ve used, but could easily become one. Perhaps not everyone will want to use this feature, but for the artistic among us, it would be a god-send. 4. We need a Four-Square check in type feature so that physicians immediately know if their patient has been seen by the requested consultants. Their impressions should be quickly accessible (perhaps with a voice text to the ordering MD) while their formal consultation notes are grinding their way through the system days later. 5. We need to pare down the unnecessary EMR alerts, and off load data entry required to meet billing requirements to non-clinical staff. Physicians need to focus on their patient care, not spin their wheels figuring out coding subtleties and CMS documentation requirements that could be completed by others. 6. We need more flexibility in data order entry – so that treatment intentions are captured, not forced into an ill-fitting box. Currently, physicians are finding ways to free text their orders in bizarre “work arounds” just to get them on the record somewhere. This is a recipe for disaster, as lost orders are fairly commonplace when staff aren’t on the same page regarding where to look for free text orders. I feel badly for the nurses, since “note to nurse” seems to be the favored way to enter a complicated pharmacy order. I am grateful that I got one last look at hospital care as it used to be – so that I can put my finger on why our new digital system is not working well. I just hope that my suggestions help to make processes better for all of us medical zombies in the new digital world. More advice for EMR Vendors here. Pluses and minuses of EMRs. In the course of one of my recent days, I witnessed a few patient-staff exchanges that sent me a clear message. First was a young man with a severe brain injury who was admitted from an outside hospital. EMS had placed him in a straight jacket to control his behavior on his trip and by the time I met him, he was in a total panic. Sweating, thrashing, at risk for self harm. He didn’t have the ability to understand fully what was happening but one thing he knew – he was being restrained against his will. The staff rushed to give him a large dose of intramuscular Ativan, but I had a feeling that he would calm down naturally if we got him into a quiet room with dim lights and a mattress with wall padding set up on the floor. As it turned out, the environmental intervention was much more successful than the medicine. Within minutes of being freed to move as he liked, he stopped moving much at all. Later I was speaking with one of my patients in the shared dining room. An aide arrived with a terry cloth bib to tie around his neck so that he didn’t spill anything during lunch. I saw a flash of anger in my patient’s eyes as he pulled the bib away from his neck with his good arm and placed the towel on his lap instead. I could tell that he found the bib infantalizing, though none of us had thought twice about it before. Here again, a patient did not appreciate having everything determined for him, right down to napkin placement. It is unfortunate that healthcare providers and patients are often on very different wavelengths. In Atul Gawande’s recent book, Being Mortal, he argues that nursing homes have often failed to provide healthy environments for patients because they have focused exclusively on safety and meeting basic needs (eating, dressing, bathing, etc.) on their terms. 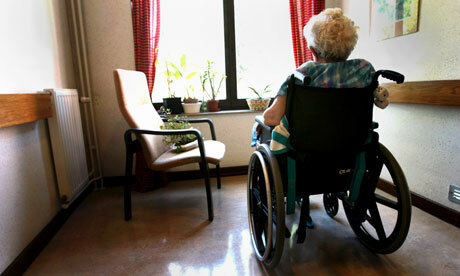 The removal of patient independence unwittingly results in devastating loneliness, helplessness, and depression. It seems to me that hospitals end up doing the same thing to patients – if only for a shorter period of time. I was moved by Gawande’s book (and I consider it required reading for anyone facing a life-limiting illness or caring for someone who is). It renewed my conviction about the importance of rehabilitation – helping people to become as functionally independent as possible after a devastating injury or disease. Even as we age, we all become less able to do the things we hold dear. Preserving dignity by prolonging independence, and respecting patient autonomy, are often overlooked goals of good health care. It’s time to think about what our actions – even as small as placing a bib around someone’s neck – are doing to our patients’ morale. Maybe it starts with asking the right questions… Or better yet, just watching and listening. Documenting To Death: Are EMRs Eroding The Soul Of Medicine? Electronic medical record systems (EMRs) have become a part of the work flow for more than half of all physicians in the U.S. and incentives are in place to bring that number up to 100% as soon as possible. Some hail this as a giant leap forward for healthcare, and in theory that is true. Unfortunately, EMRs have not yet achieved their potential in practice – as I have discussed in my recent blog posts about “how an EMR gave my patient syphillis,” in the provocative “EMRs are ground zero for the deterioration of patient care,” and in my explanation of how hospital pharmacists are often the last layer of protection against medical errors of EPIC proportions. Considering that an EMR costs the average physician up to $70,000 to implement, and hospital systems in the hundreds of millions – it’s not surprising that the main “benefit” driving their adoption is improved coding and billing for reimbursement capture. The efficiencies associated with access to digital patient medical records for all Americans is tantalizing to government agencies and for-profit insurance companies managing the bill for most healthcare. But will this collective data improve patient care and save lives, or is it mostly a financial gambit for medical middle men? At this point, it seems to be the latter. Can view radiologic studies and receive test results in one place Very expensive investment: staff training, tech support, ongoing software updates, etc. Why Would Any Doctor Accept Medicaid? 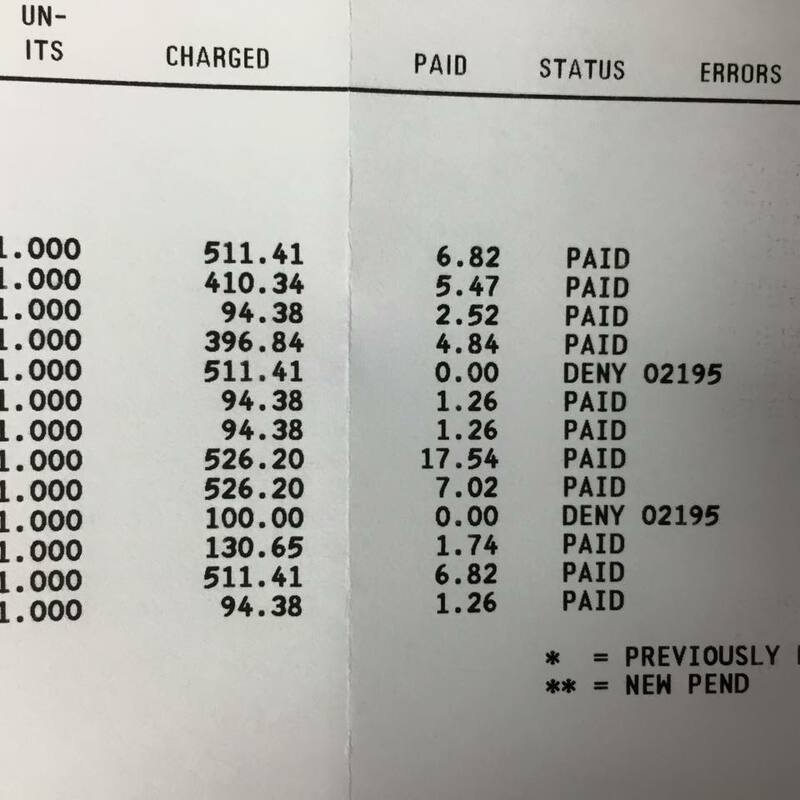 A physician friend of mine posted a copy of her Medicaid reimbursement on Facebook. Take a look at the charges compared to the actual reimbursement. She is paid between $6.82 and $17.54 for an hour of her time (i.e. on average, she makes less than minimum wage when treating a patient on Medicaid). The enthusiasm about expanding Medicaid coverage to the previously uninsured seems misplaced. Improved “access” to the healthcare system via Medicaid programs surely cannot result in lasting coverage. In-network physicians will continue to dwindle as their office overhead exceeds meager reimbursement levels. In reality, treating Medicaid patients is charity work. The fact that any physicians accept Medicaid is a testament to their generosity of spirit and missionary mindset. Expanding their pro bono workloads is nothing to cheer about. The Affordable Care Act’s “signature accomplishment” is tragically flawed – because offering health insurance to people that physicians cannot afford to accept is not better than being uninsured. After all, improved access to nothing… offers nothing. Inviting physicians to work for less than minimum wage so that politicians can crow about millions of uninsured Americans now having access to healthcare, is ridiculous. Medicaid expansion is widening the gap between the haves and the have-nots. The saddest part is that the have-nots just don’t realize it yet. Credibility & Prestige In Medicine: How Are They Measured? In my last blog post I discussed how harmful physician “thought leaders” can be when they are dismissive of the value of other specialists’ care. I must have touched a nerve, because a passionate discussion followed in the comments section. 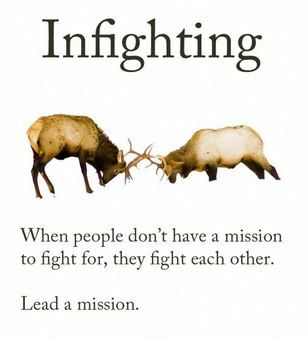 It seems that physicians (who spend most of their time involved in clinical work) are growing tired of the leadership decisions of those who engage in little to no patient care. Clinicians urge lawmakers to turn to practicing physicians for counsel, because those who are out of touch with patients lack real credibility as advisers. Interestingly, the credibility question was raised in a different light when I was recently contacted by a prestigious medical organization that was seeking expansion of its board membership. I presumed that this was a personal invitation to join the cause, but soon realized that the caller wanted to use my influence to locate “more credible” candidates with academic gravitas. While I appreciated the honesty, I began thinking about the age-old “town versus gown” hostilities inspired by academic elitism. In medicine, as with many other professions, it is more prestigious to hold an academic position than to serve in a rural community. But why do we insist on equating credibility with academics? And finally, there seems to be an unspoken pecking order among physicians regarding the relative prestige of various specialties. How this order came about must be fairly complicated, as dermatology and neurosurgery seem to by vying for top spots these days. I find the juxtaposition almost amusing. Nevertheless, it’s common to find physicians in the more popular specialties looking down upon the worker bees (e.g. hospitalists and family physicians) and oddballs (e.g. physiatrists and pathologists). Yes, caring for the disabled (PM&R) is “less glamorous” than wielding a colonoscope (GI) (again, not sure who made that decision?) but it should not be less credible, or become a target for budget cuts simply because people aren’t informed about how rehab works. It is time to stop specialty prejudice and honor those who demonstrate passion for patients, regardless of which patient population, body part, or organ system they serve. Excellent patient care may be provided by academics, generalists, or specialists, by those who practice in rural areas or in urban centers. The best “thought leaders” are those who bring unity and an attitude of peer respect to the medical profession. With more of them, we may yet save ourselves from mutually assured destruction.